Talking to TeslaBot's assistant can adjust features without the car's app. We've seen AI-powered chatbots for almost everything, and now a company called Smartcar has developed one specifically for Tesla electric vehicles. 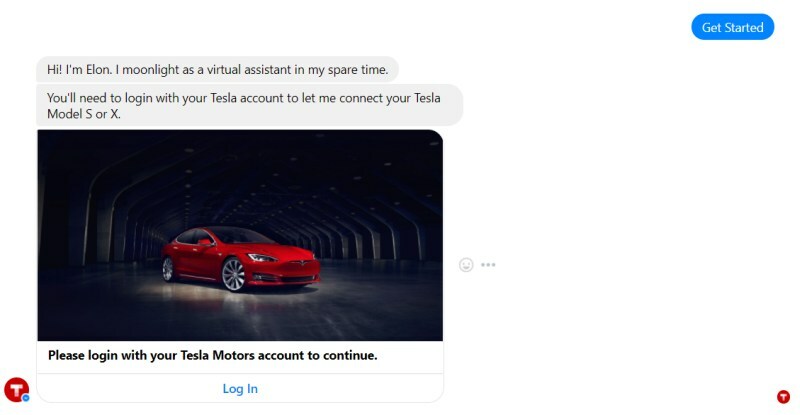 Owners can access any number of features via Tesla's mobile app, and by logging in via TeslaBot, they can pop open Facebook Messenger to ask questions or send commands. That's a pretty low bar for use, particularly compared to the Tesla app Smartcar's founder developed for Google Glass. Of course, most of us don't have a Tesla yet (at least until the Model 3 comes out), but we could see more tech like this quickly, as Smartcar is already working with Hyundai on its Ioniq platform.